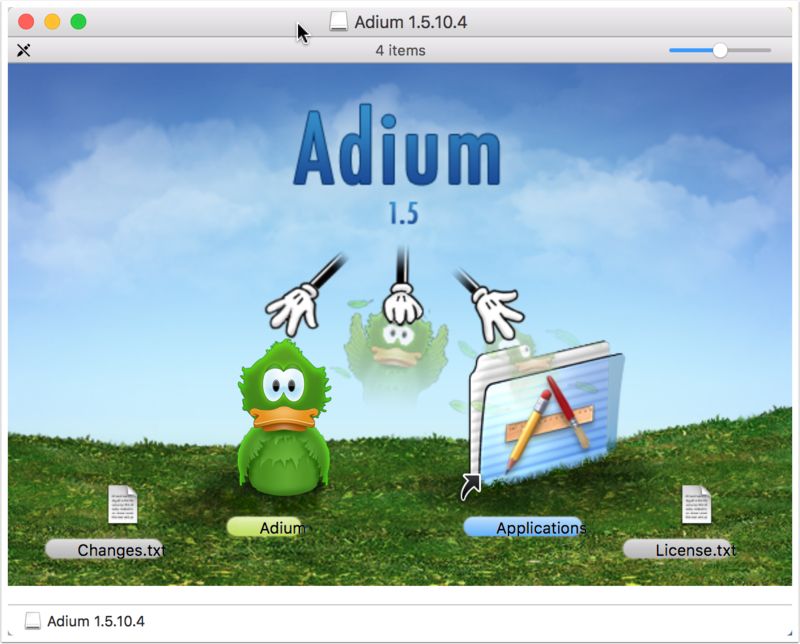 Open the downloaded Adium .dmg file. 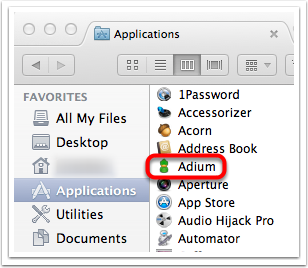 Drag the Adium icon into the Applications shortcut. Close the Finder window and eject the .dmg when done. 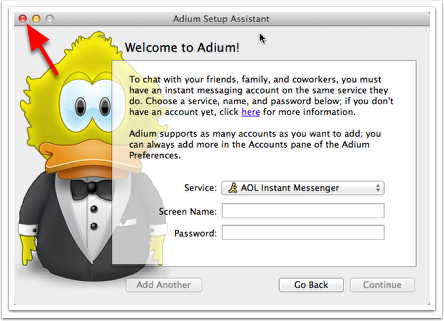 Select Adium from the Applications popup on the Dock or double click the Adium icon in the Applications folder. 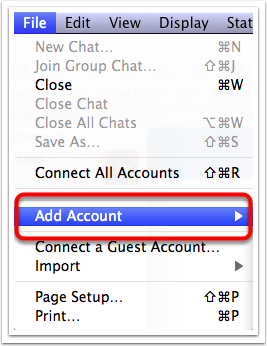 Close the Adium Setup Assistant using the close button in the title bar. You can reopen the Setup Assistant from the Window menu. Click OK to continue. 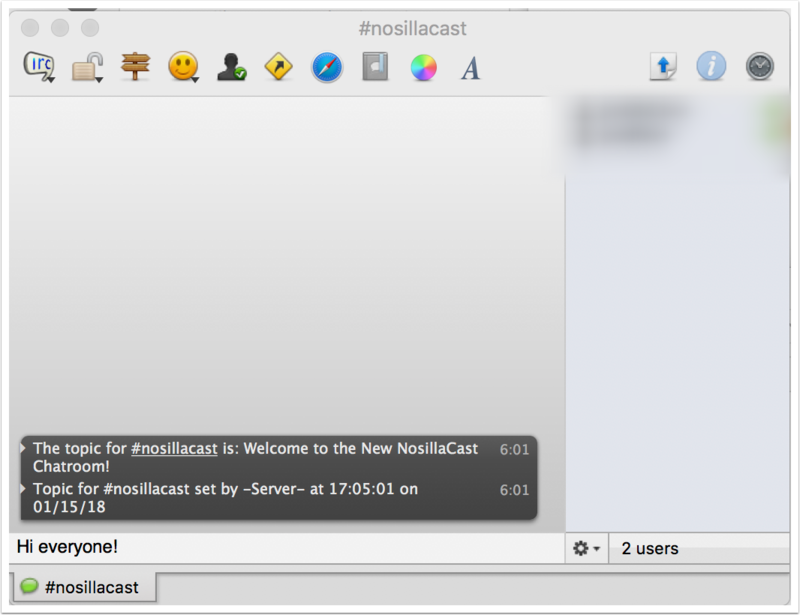 Once you have clicked on the OK button you will be connected to the NosillaCast IRC server. Optional: Click on the Personal button to set up the options. You need not set anything in this section, if you choose not to. 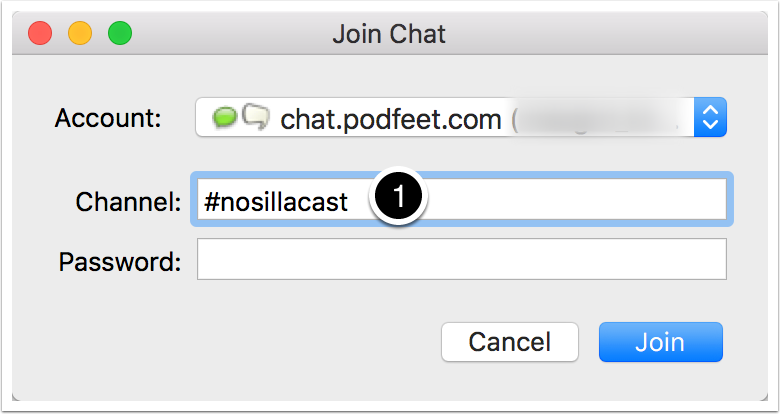 In the Join Chat dialog box which appears, type in #nosillacast in the Channel edit field (1). Next press the Join button. 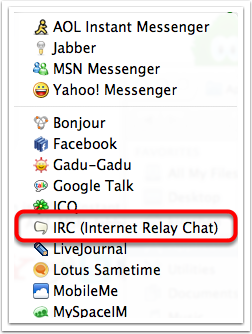 The NosillaCast IRC chat window appears – you have arrived! 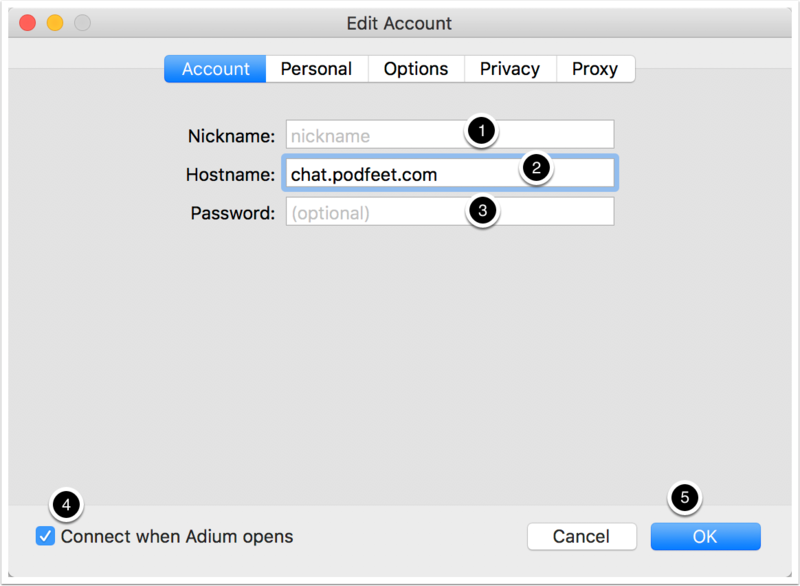 To restart, launch Adium, select Connect: chat.podfeet.com from the File menu (if not auto connected), and then do the steps from "Access the NosillaCast chat room".